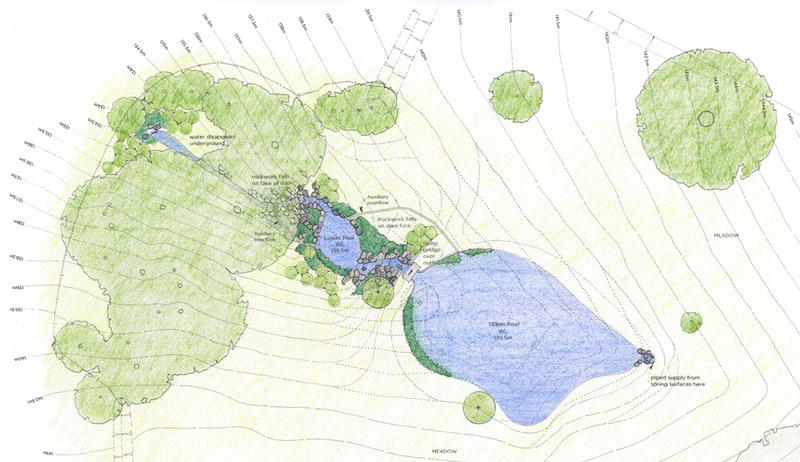 Colvin & Moggridge have gained planning consent, with no pre-commencement conditions, to create two pools with connecting cascade in a listed Grade II* parkland associated with Humphry Repton. Our work included the design of the water features and preparation of an Heritage Impact Statement which considered the history and significance of the site and the effect of the proposal on the historic landscape. The proposal will utilise the ample spring water which surfaces within the park but is currently piped away. The cascade will be created with large pieces of stone which have been recovered from the adjacent agricultural land over many years. We look forward to the construction of the pools which is planned to commence during summer 2017.